Marianne - Climbing and More: Lecture Sat. January 3. 2015 - Inspiration for the new year! Lecture Sat. January 3. 2015 - Inspiration for the new year! Recognize the banner on top of my blog? 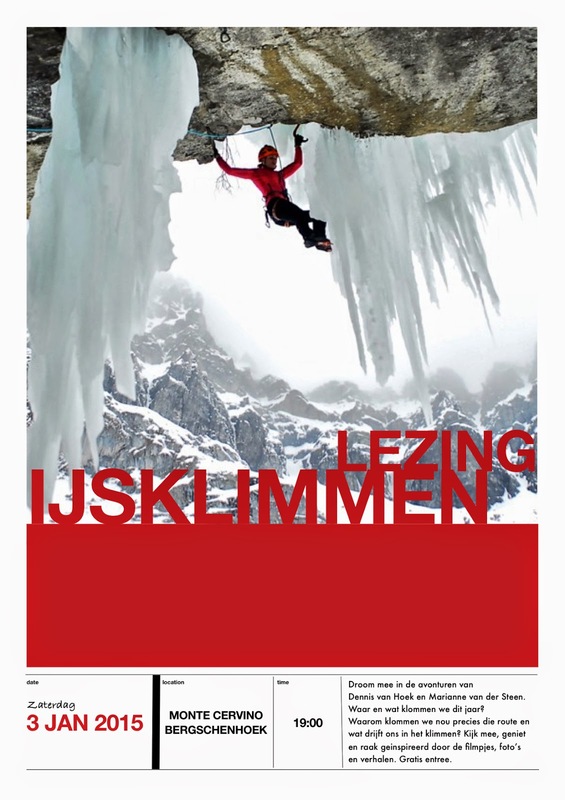 Together with Dennis van Hoek I'll hold a lecture about iceclimbing and other vertical adventures. On the day we'll hold a special drytool clinic. Subscribe and join through our FB event pages.